What would a hero be without their trusty weapon? Nothing. Unless, of course, that hero uses fists like Saitama in the anime One Punch Man. Video game characters usually get all the credit when people write about them, and little love is usually given to the tools that helped these heroes win their various battles. That’s why in this article, let’s take a look at the top 5 most powerful fantasy weapons that have ever existed in the world of fictional video games. Let’s kick off this list with a real powerful weapon called BFG 9000. This weapon is so powerful that game developers thought they’d give it some sort of numerical advantage over others. 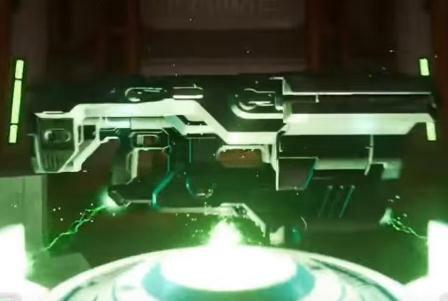 The BFG or “Big F***ing Gun” first appeared in the original Doom game to allow players to blast their way through levels. The weapon fires giant balls of green plasma, and causes major splash damage to enemies. It can clear an entire room in one blast, and a direct hit from it is a guaranteed one-hit kill. The Spear Rope from Mortal Kombat is not only extremely powerful but also handy. The weapon is concealed inside Scorpion’s arm and he can throw this swiftly and with deadly accuracy at a whim. 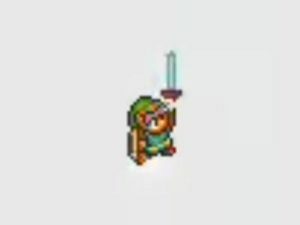 When he successfully hits a target, he quickly retracts the spear rope (that is attached to his enemy’s body) and delivers a devastating blow. The next instruction the player is likely to hear is “finish him”. The Blades of Chaos of God of War is as powerful as they look. 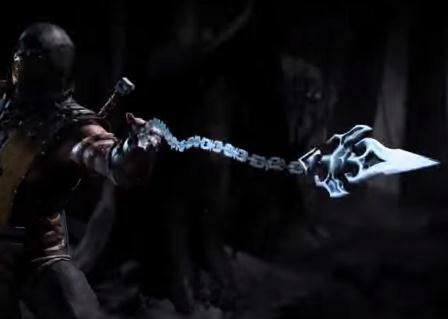 Two cleavers are attached to chains that are both wrapped around Kratos’ wrists. 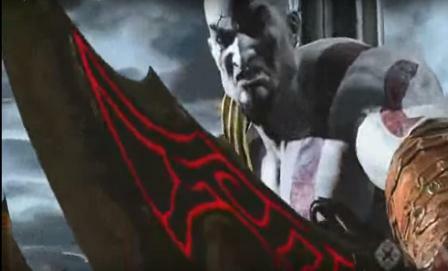 The weapons are designed to slash, smash, and pierce anything that gets in the way of the God of War. They’re not the easiest weapons to wield but since they are blessed and designed by gods, the Blades of Chaos is quite possibly two of the deadliest fictional weapons ever created. Perhaps there’s no better arsenal to describe America’s love for guns than this aptly named weapon from Saints Row IV. 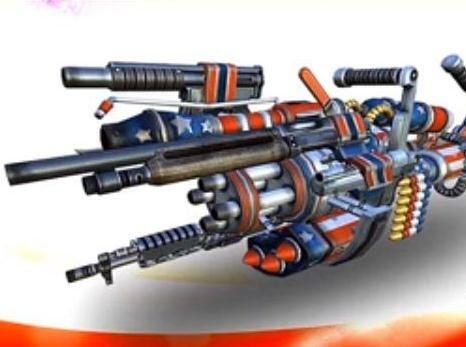 The Merica weapon is a set of high-powered guns attached to each other, including a machine gun, shotgun, magnum, and Gatling gun. If this is not the ultimate weapon for zombie destruction, we don’t know what is. Although, it would be extremely heavy in real life, thus it could only be used if it was mounted on something sturdy. Alright, before anyone says “Game of Thrones is a novel turned TV show, not a video game”, check out Telltale Games’ Game of Thrones. It is one of the most creatively written RPGs of all time and you should play it if you haven’t done so yet. Pocket Fruity, the operator that gave birth to the unique Slingo Extreme game that reached mainstream success across many continents, also has a casual video game version called Game of Thrones 15 Lines. Longclaw is made with Valyrian Steel, which, according to lore, is the most powerful steel in the world. However, the manufacture of Valyrian steel swords halted and there were only a few left in Westeros, including Longclaw. By far Longclaw’s shining moment came when Jon Snow was faced with one of the White Walkers. Why? Well, White Walkers can’t be killed with normal steel and Jon Snow didn’t know at first (he knows nothing after all) that he was holding a Valyrian steel sword. 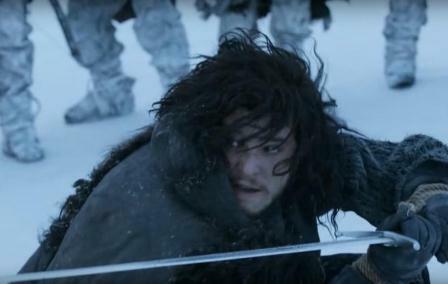 He was about to be killed off until this mythical sword helped him defeat one of the rather scary White Walkers. Hungry for more powerful fantasy-based weapons? Knights Writes wrote a list last year called 5 Ultimate Fantasy Weapons They Actually Made. Jason Green is a writer over at Wise Marketing.